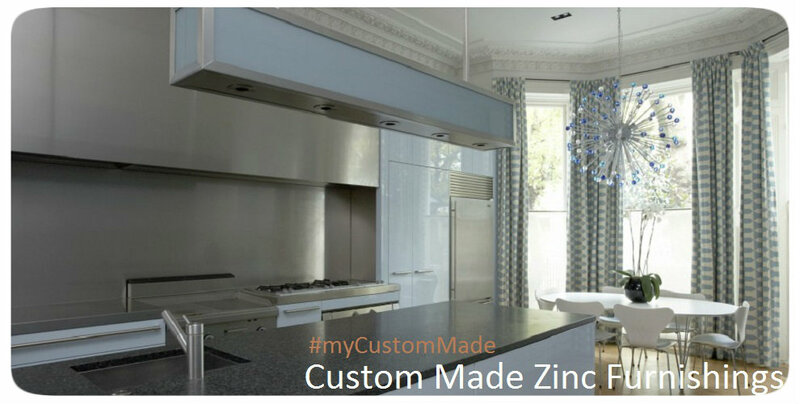 Click the button below to add the Zinc Range Hood "French Country" to your wish list. European enthusiast dream zinc range hood in French country style. The range hood is made in two versions. Either you select on the detail page kitchen island or wall mount. You can further personalize it with type of surface and color finishing. It includes shiny polished, dark and natural metal which is kind of mat. Due to the country style range hood apron shape, only a few inserts are applicable. They need to be relatively small in height and with slopping sides. The best option for this french zinc range hood is our 200 CFM ventilation equipment. It has a shape easily fitting inside and also includes lights and filters.